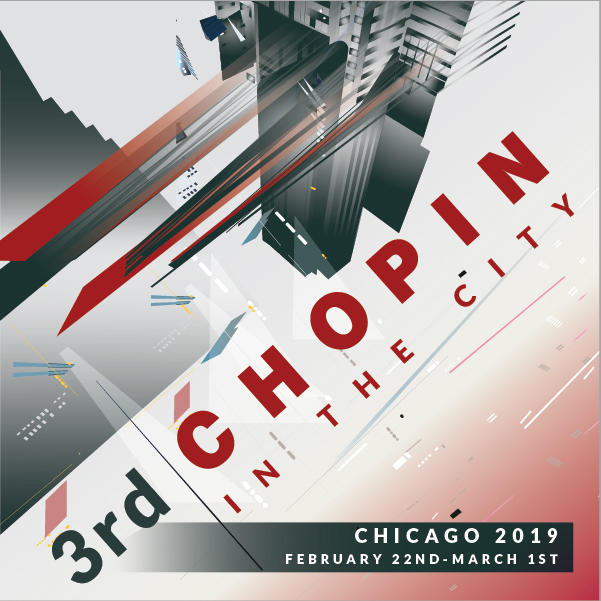 Sounds and Notes, a non-for-profit Foundation in Chicago, presents their 3rd annual festival entitled, Chopin IN the City. The festival will take place from February 22 to March 2, 2019. Grażyna Auguscik, an international jazz recording artist and the founder of Chopin IN the City festival states “we are celebrating Chopin’s birthday and presenting his music in styles ranging from classical and jazz to avant-garde for people of all ages”. The event will feature a dozen performances at various venues around the city and will feature artists such as the Polish internationally renowned accordion player Jaroslaw Bester, Atom String Quartet, classical pianist Marianna Humetska from Ukraine, jazz pianist Piotr Orzechowski from Poland, classical pianist Michal Korzistka from Poland, classical violist Marcin Halat from Poland. Also participating in this year’s festival are many well-known Chicago-based artists such as Grazyna Auguscik, Matt Ulery Group, Svetlana Belsky, Marlena Dzis, Andrzej Krukowski, Krzysztof Wasko, Anna Mycek, Patricia Stepniak and Nick Mazzarella Group. The festival’s concerts and performances will take place at the following venues around the Chicago area: Green Mill Jazz Club, Center on Halsted, Filament Theater, Copernicus Center, Ukrainian Institute of Modern Art, Society for Art, Elastic Arts, Polish Museum of America, Constellation and High School Concert Hall in Palatine. The opening ceremony for Chopin IN the City will take place at the Polish Consulate on February 22, 2019. Our Festival wouldn’t be possible without individual/corporate sponsors. It is only through partnerships with local companies that we are able to provide such high-quality entertainment at such a reasonable price. Any amount you choose to give will be greatly appreciated. I know that together we can make this year’s Chopin IN the City’s festival the best yet and make wonderful memories for generations to come!